← Naughty Delights is here! so this is kinda how I spend my time. That and playing on the computer. matters and topics I write about. I talk on a regular basis, how can I not list all of them? about Wicked Templeton—he used to be a cop in Atlanta until he retired early. with our main characters crossing over to make appearances in the other books. the old pulp fiction type of way. with the order for my series there also…stop on by I’d love to see you. 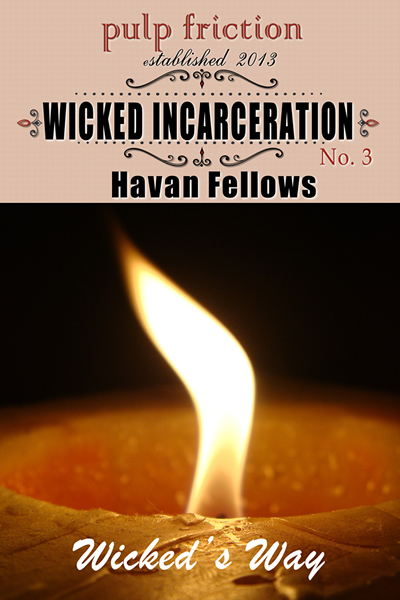 Now that you’ve learned more about Havan and saw the two beautiful covers above, how would you like a chance to win a FREE copy of Wish Me Nothing or Wicked Incarceration? All you have to do is comment on Havan’s interview and you’re in the running to win one of these hot books. The contest will run until midnight (Central time), June 30th. On July 1st, Havan will randomly select a winner and be in touch with him or her. Friends, please make sure you either add your email address to your comment below or have your blogger account set to receive messages. I've not read any of your works Haven Fellows, but I am looking forward to it. Going on over to amazon right now to check everything out and find something new to dig into. I'm sure Havan will be smiling once she views your comment. Wicked's Way…..I like the sound of that. Thank you for visiting us and entering. Best of luck! Wow a great interview. I will have to say I haven't read any of this author's works. This interview has given me an interest in reading some of the works mentioned. Thank you for giving me something new to read and introducing me to a new author. You never know, you might win a prize. Best of luck and thank you for entering! I think it is great that you and several authors are creating your own world and that characters will appear in each others books. It is great to see people working together like that. I love writing like this Laura – it feels like I'm visiting old friends each time we talk about our next installments…:) Hope you like them. You can't go wrong with a Havan creation. Good luck on your entry and thank you for visiting us! Neither Havan nor I have heard back from the winner. Since the winner might be on extended vacation due to the fourth of July, we will wait until Sunday, midnight central time, before we chose another winner. HORRAY, we finally have a winner. Congratulations, DebbieW!